Earth movers are machines or equipment that can be used to dig, push and move earth. The earth movers come under the category of heavy equipment used in construction sites and in mines. There are many earth movers used to dig into the surface of earth. They are designed with scoops, cutting blades, shovels and saw like attachments for this purpose. Breaking hard soil and rocks can be done using these attachments with machines. These are also designed to carry excavated soil and rocks from one place to another. There are many companies that serve earth moving activity. They have lot of heavy machinery with them from many manufacturers for this purpose. The earth moving companies can be contacted for any kind of earth works. It is ideal to get the company people work on earth moving than doing it yourself. 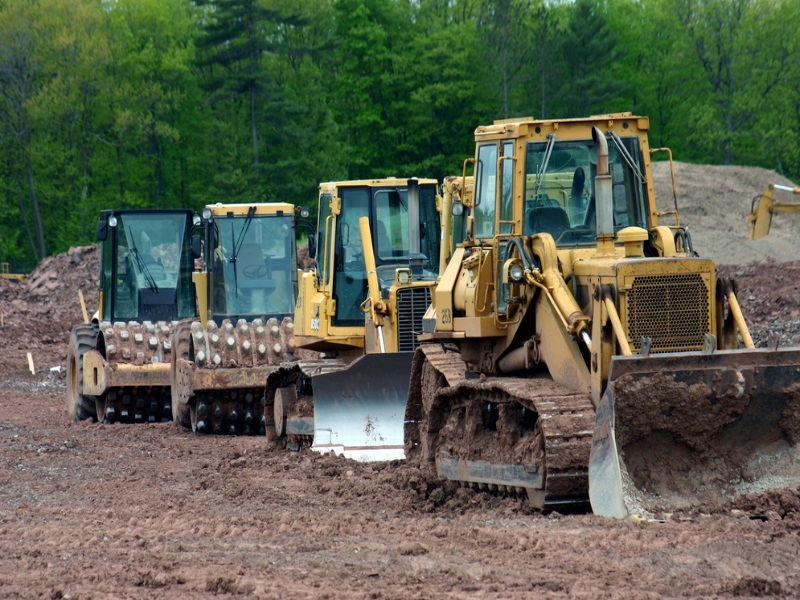 One primary reason to hire the earth moving companies to do excavation work is that they have all kinds of machineries for different kinds of earth moving. There are varieties of excavation works for several purposes. Each work requires specialized equipment which is usually available with these companies. Excavation can be classed into different types of material that needs to be removed and also according to purpose of excavation. On the basis of materials, one can divide the excavation as topsoil excavation, rock excavation, muck excavation, earth excavation which is water and unsuitable soil removal and any combination of material types or unclassified excavation. On the basis of purpose excavation can be roadway, drainage, bridge, channel, underground, borrow or footing excavation and stripping. You might not require big earth movers for simple excavation and so it needs simple tools. These can be done by you simply by reading quick guide. But for large projects like construction, where you require complex machineries, hiring knowledgeable people to do the work can be wise option. The earth moving companies have experience in dealing with different kinds of earth moving works. The earth moving companies have trained people who know how to operate the complex equipments effectively. They are experts in handling specialized machines and so the work is done quickly and effectively. There is always the factor of safety attached with the earth works. Hence, hiring professionals can ensure safe digging and transporting of earth. The largest earth movers in the world are used in mining areas. Huge amount of rock and hard soil are excavated every day. Hence, strong and reliable machines are used in this field. These equipments are complicated and they have a large number of attachments to be used for different settings like remain fixed and remove soil or move around and do the work. There is always a risk involved and so to ensure safety, operators are trained to perform the work with safety. Here the earth moving companies come into play. The most important reason why you should get earth moving companies for earth work is most cost effective option. These companies have trained staff that can do the job in a minimum time with no fault. This saves time and money as well. There are several earth moving companies who can provide effective services in excavation. Carefully see the experience and list of equipment before choosing an earthmoving company. Usually, the companies serve in a limited area as the cost of transport of the machines can be too much. Hence, search for companies in nearby location. Check their pay charts and then hire the services of their company.